Dr. Jazz grew up in Vancouver, British Columbia. An accomplished junior golfer, her passion and desire to compete at the collegiate level brought her to the United States in 1997. She graduated with honors from Eastern Michigan University in 2002. Dr. Jazz realized the power and potential to help others feel better through holistic healing and decided to further her education and pursue Chiropractic studies. Dr. Jazz graduated from Palmer West Chiropractic College in San Jose, California with a Doctor of Chiropractic degree in March 2006. Dr. Jazz moved to Phoenix, Arizona during the summer of 2006 to begin her chiropractic career with a multi-disciplinary office. There she treated numerous patients with a primary emphasis in personal injury and treatment of acute injuries. 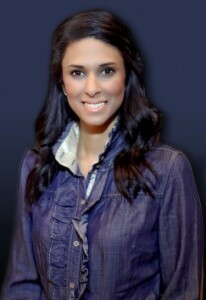 Dr. Jazz left her employer in February of 2011 and opened Chiropractic Rehabilitation Center “CRC” in Glendale, Arizona. CRC utilizes innovative treatment options for disc injuries as well as therapeutic modalities including electrical stimulation, therapeutic ultrasound, mechanical traction, KT taping and superficial heat and icing protocols. In addition, Dr. Jazz aims at complementing the healing effects of her chiropractic treatment with corrective care exercises and stretches that enhance the healing process and increase overall wellness. Her mission is to empower her patient’s to experience their optimal health potential. In her free time, Dr. Jazz enjoys to golf, travel, watch reality TV, shop, workout, try new restaurants and spend time with friends, family and her bulldog Boss!